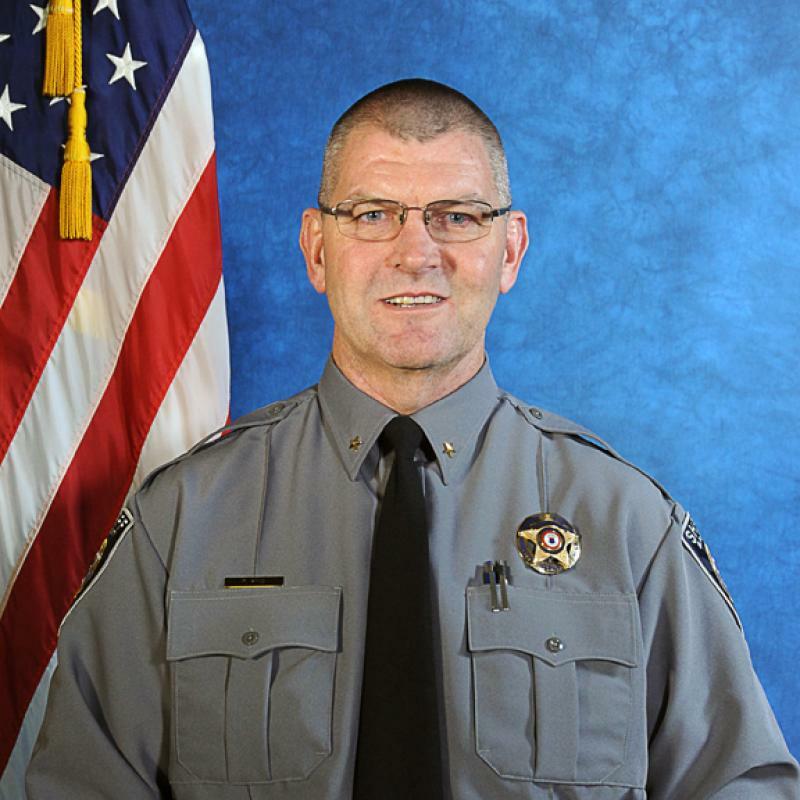 Back in January of this year (2017) we published an article concerning allegations Lt. William Huffor sexually harassed a young female deputy at the Jail in the fall of 2016. Read story. Lisa Kirkman, legal counsel for the El Paso County Sheriff’s Office (EPSO) denied these allegations. Read Gazette story. We believe Kirkman twisted the truth and provided misleading information. Read our editorial response to the Gazette article. After reviewing all the information available, it seems Huffor’s actions did cross the threshold of sexually harassment. According to our sources, while EPSO was publicly denying to the media there was any wrong doing they were telling the victim there was inappropriate behavior by Huffor and he would be disciplined. Ultimately, Lt. Huffor was given a letter of counseling. Of course it is not for “sexual harassment”, but rather “conduct unbecoming”. According to our sources, the victim was not even told the outcome of the investigation until she inquired multiple times. She was also not allowed to see the letter of counseling. Of course they do not want her to see it because they feared it would upset her and she might contact an attorney (which she should do). Through a source close to Bill Elder, we were provided a copy of the letter of counseling for Lt. William Huffor. Read Letter. We have had it for a while and decided to publish it after confirming its authenticity with a second source. Unlike Bill Elder who only talks about transparency, we believe in it. So, we are providing the information for everyone to read and judge for themselves. Huffor’s signature is hard to read; here is a closeup. Out of respect and privacy, we have redacted the victim’s name and will refer to her as the “female Deputy” in our article. Bill Elder needs to stop trying to cover things up and provide the community with the transparency he promised. Hear it from his own mouth. Does the letter of counseling support her allegations of sexual harassment? According to the letter, Huffor called a young female deputy to his office, quote; “young female deputy out of her assigned ward to your office”. The letter goes on to state the reason he wanted to see her had nothing to do with work; “…the reason you wanted to see her had nothing to do with work”. Huffor then made negative comments to her about her boyfriend. Why would a male supervisor want to be alone with a young female in his office for non work related reasons? And when alone with her says the following; “people might think we are doing something in here”. What does this sound like? Maybe a sexual predator seeing if his victim will be receptive to his advances? This clearly supports the allegations of sexually harassment against Lt. Huffor. There is more evidence, to include a video. But Elder will not release it. Let’s use common sense; we know there is a video which the victim says collaborates her story. If, like Elder says, nothing happened and the allegations are unfounded, why won’t he release it? It’s no longer an ongoing investigation. Why have they denied multiple CORA requests for it? Many LE agencies release videos of shootouts and other serious crimes all the time. Plus, videos from the jail have been released before. Why is Bill Elder so adamant about not releasing a single video of an alleged sexual harassment (which they say didn’t happen)? What is he trying to hide? And why is the media so complacent about not fighting in court to get it? Let’s review the letter of counseling in its entirety. Is it interesting Commander Rob King wrote the letter? He is named in a current sexual harassment lawsuit against EPSO which could go to trial this fall. According to our sources his Internal Affair file is over a thousand pages to include multiple allegations of sexual harassment. Read Story. If anyone should mentor Bill Huffor; it’s Rob King. In the letter King states; “Your conduct during interactions with Deputy <REDACTED>, while well intentioned, ultimately did not reflect favorably on the Sheriff’s office.” What facts are presented that anything Huffor did was well intentioned? He lured a young female deputy to his office where he could be alone with her; what is well intentioned about that? The letter goes on to state; “In hindsight I hope you would agree you have subjected yourself and the office to unnecessary and avoidable challenges and potential liability”. So, they clearly understood what he did was wrong and exposed EPSO to civil liability. The letter goes on to state Huffor’s behavior was inappropriate, but stops short of saying he sexually harassed the victim. Commander King states; “… I applaud your eagerness and willingness to engage and mentor your subordinates,…”. It is ludicrous to suggest Huffor was attempting to “mentor” the victim. It is pretty clear what he was wanting to do with her. The letter of counseling concludes with “This is a serious violation of El Paso County Sheriff’s Office Policy …”. How can it be serious if he only got a letter of counseling? Is King admitting the punishment does not reflect the true seriousness of the violation? Why does the letter of counseling not include the actual statements Huffor said to the female deputy? Would these statements help show Huffor sexually harassed her? According to a source; what is not stated in the letter is that Huffor made many inappropriate statements and at one point even touched her. Does this sound like appropriate behavior or more like sexual harassment? Here are the facts. Lt. William Huffor, for his own (non-work related) personal reasons, ORDERED, a young female deputy to his office where he could be alone with her. While alone with her, he made many inappropriate statements to include; “people might think we are doing something in here”. When confronted with the allegations, Huffor suggested he was just trying to “mentor” her? Sounds more like he wanted to “mentor” her brains out. There are more holes in Elder’s excuses than a slice of swiss cheese. Why didn’t Huffor’s case go to the Discipline Action Board (DAB)? According to the Gazette, Elder said he closed down the DAB in December of 2016 and there were no pending cases. Read story. 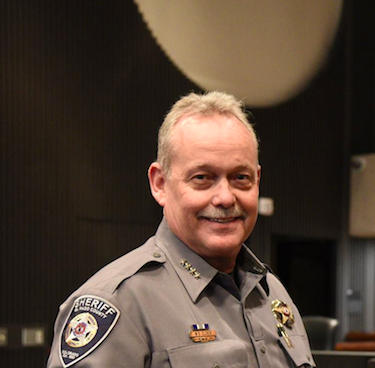 To quote the gazette; “Elder said he suspended the board in December, roughly a year after its formation, out of concerns there was no appeals process and that he as sheriff had no review authority. At the time, there were no cases pending before the board, he said.” We know from sources Huffor’s case was investigated in the late Fall of 2016 and the letter of counseling is dated 1/20/17. So, this proves Elder’s statement there were no cases pending when he suspended the DAB was not accurate. In December of 2016 Huffor’s investigation was either still ongoing or just completed. A source within EPSO stated It was Elder himself who terminated the DAB when Huffor’s case was pending. It appears he did it because he was afraid the DAB would sustain the sexual harassment and recommend termination. Did Elder do this to protect his friend and husband of his chief of staff (and campaign manager); Janet Huffor? Based on information from multiple sources; (1) in late 2016, a complaint was filed against Lt. William Huffor concerning sexual harassment, (2) it was investigated by Internal Affairs (IA) who “sustained” the charges, (3) the file was given “directly” to Sheriff Elder by Lt. Athey (who resigned immediately thereafter), (4) and after receiving the file Bill Elder announced the suspension of the DAB and the “disposition” or “findings” of the IA appears to have changed. 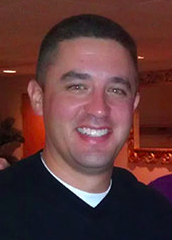 (5) Lt. Huffor ultimately received a letter of counseling for his inappropriate behavior. The facts speak for themselves. It appears Bill Elder is more concerned about protecting a sexual predator than his female employees. Those who believe they are victims of Sexual Harassment need to contact attorneys and find out what their rights are because it’s obvious Bill Elder does not care about his employees. It is just as obvious the county commissioners do not care as well. What happened to all Bill Elder’s promises? Where is Integrity and transparency? There is one fact that is clear; Bill Elder is a LIAR!